Racine, WI – March 22. Gardtec Incorporated, the world’s Number 1 Brand of the most technologically advanced fan accessory products has just released two of the most innovative 120mm plastic fan guards to hit the market in over 15 years. Gardtec Part Numbers SC120-P70 and SC120-P71 are designed to complement the most comprehensive product offering of fan accessory products in the market. Both designs have been created with the highest UL Flammability ratings of UL94V-0 to insure product safety. Additional fan accessory products include wire and plastic fan guards, metal and plastic fan filter assemblies, fan power cords, daisy chain fan cords, rubber fan mounts and fan tray assemblies. All Gardtec products are designed to meet the most current RoHS/REACH/PFOS compliance standards, in additional to both UL and CE international safety requirements. Gardtec parts are designed to cross with Qualtek Electronics part 09120-G and 09121-G, but at a significantly lower cost point to the end customer. Product is readily available directly from Gardtec, or any of our many distributors including Digi-Key Electronics and Onlinecomponents.com. Additional information on fan accessories is available at www.gardtecinc.com, or product may be purchased direct at the online store at www.gardteconline.com. 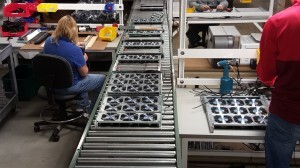 RACINE, Wis. October 25, 2018 Gardtec Incorporated, the leading global innovator, manufacturer and marketer of fan accessory products, including wire and plastic fan guards, fan/daisy chain fan power cords, plastic, metal fan filter assemblies, and fan tray assemblies for the OEM/Distribution market, today announced that it has finalized a wide reaching distributor agreement with Marsh Electronics. David J. Petersen, CEO of Gardtec stated “ Joining the #1 Brand of Fan Accessory products in the market, with the Marsh Electronics, a Midwest electronics powerhouse since 1937 is a certain formula to better assist our broad customer base”. Gardtec Incorporated, the leading global innovator, manufacturer and marketer of fan accessory products, including wire and plastic fan guards, fan/daisy chain fan power cords, plastic, metal fan filter assemblies, and fan tray assemblies for the OEM/Distribution market, today announced that it has finalized a wide reaching distributor agreement with Digi-Key Electronics. David J. Petersen, CEO of Gardtec stated “ Joining the #1 Brand of Fan Accessory products in the market, with the 5th largest distributor, Digi-Key is sure to bring a new force to the electronics market, allowing for far more product and design options for the end user”. This new agreement allows Digi-Key Global access as the industry leader in electronic component selection, availability and delivery. GARDTEC INCORPORATED: The Number 1 Brand in the Fan Accessory Market, has released a new product family of custom wire form products designed to support the Food Service Market. The new family of products is designed to offer custom wire forms for the beverage dispensing trays, heating light guards, bulb protection, hinges, fan guards and covers, motor mounts, internal fan guards for ovens and related food service equipment. Custom wire forms products are offered in 304 stainless steel, cold rolled steel and with finishes of clear/black electro deposit, bright nickel chrome, powder coat and epoxy in unlimited color options. All products are manufactured to meet current RoHS/REACH/PFOS compliance standards. Custom wire form samples are available in 3-4 weeks. Also available is the markets largest family of fan accessory products, including wire and plastic fan guards, metal and plastic fan filter assemblies, including standard and custom daisy chain fan cords to support industry wide market requirements for the tube axial fan market. Plastic fan guards and filter assemblies are covered under UL 94V-0 and UL 94HF-1 safety approvals, the highest rating in the industry. RACINE, Wis. May 10, 2017 Gardtec Incorporated, the leading global innovator, manufacturer and marketer of fan accessory products, including wire and plastic fan guards, fan/daisy chain fan power cords, plastic and metal fan filter assemblies, and fan tray assemblies for the OEM/Distribution market, today announced that it has finalized a wide reaching European distributor agreement with Essentra Components. This new agreement represents 20 new sales locations in Europe, Middle East and Africa, with an industry leading supplier, offering over 100,000 standard catalog items available immediately from stock. Essentra Components and Gardtec are well positioned to leverage extensive geographical distributor capacity, using sourcing, manufacturing and IT platforms to efficiently respond to our international customer base. GARDTEC INCORPORATED: The Number 1 Brand in the Fan Accessory Market, and Newark Electronics/Element 14, 6th largest seller of electronic components, with sales of $1.5 billion worldwide, have joined forces. This new agreement will include the entire breath of fan accessory products offered by Gardtec, as well as many specialty fan accessory products to better serve the broad range of Newark/Element 14 customers. The agreement will cover worldwide sales of Gardtec branded products in The Americas, Europe, and Asia. 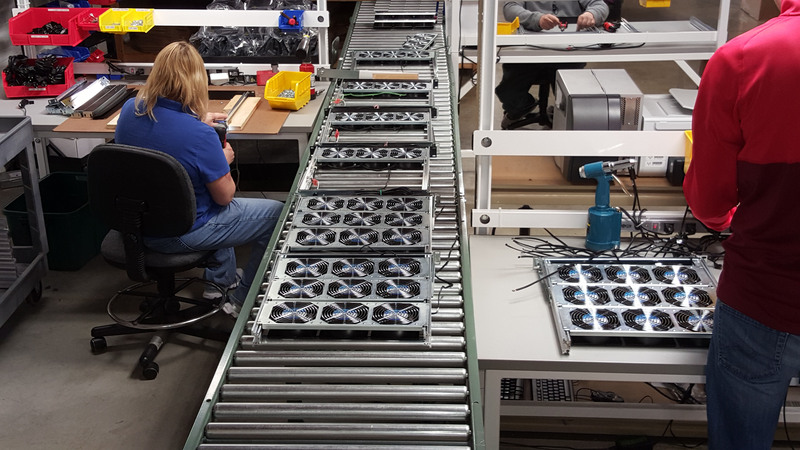 Gardtec products included in the agreement are wire and plastic fan guards, metal and plastic fan filter assemblies, fan trays, and fan power cords. Gardtec products are designed to conform to the newest requirements in REACH, RoHS, PFOS and other international safety standards. This includes REACH requirements which will go into effect in September 2017, regarding the total elimination of Cr6 during the plating process, as well as all 173 banned substances. Additionally, product are compliant with RoHS amendment 2015/863. Gardtec products offer the market the unique position of providing the customer base with full UL approved materials, rated at 94V-0 and UL94HF-1, the highest rating in the industry for fan plastic accessory products. GARDTEC INCORPORATED: The # 1 Brand in the fan accessory market, manufacturer of wire and plastic fan guards, metal and plastic fan filter assemblies, fan trays, fan cords including daisy chain fan cords is pleased to announce the introduction of the Food Processing Equipment custom wire forms products family. Gardtec, long known as the markets largest producer of fan accessory products for the electronics market, has developed over the past 5 years, a complete line of standard and customer wire form products for such companies as Middleby-Marshall, Taylor, True Manufacturing, Beverage Air, Carter-Hoffman, NU-VU, Glastendar, Nor-Lake and Stoelting, among others. Custome wire form products are manufactured to customer specifications and include stainless steel, with electro deposit finishes, steel products with bright hard nickel chrome and powder coating finishes in various colors. All products are manufactured to the most current RoHS and REACH requirements, including new REACH requirements being introduced in September 2017, which will completely eliminate the current plating process of Cr6 and replace it with Cr3, which is 100% safe to both humans and the environment. GARDTEC INCORPORATED: September 2017, the plating world for fan guards will change dramatically. REACH has made the determination that it will sunset Cr6 Hexavalent Chromium from the plating process, a production process that has been in place for over 50 years. The Cr6, a known cancer causing agent will now be required to be discontinued in the actual manufacturing of the chrome plated fan guards 120mm fan guard. Up until this time, certain allowable limits were permitted, that has changed beginning September 2017. The problems will arise in the industry, given that other than Gardtec, there is no active plating company in the Chinese fan guard 80mm fan guard market, that either has the capital to make the change, or the technical ability to comply with these new REACH standards. Companies that either manufacture for the Euro market, or intend to market in the future will find themselves in violation of REACH rules. Unlike RoHS in which there are no specific fines, violations of REACH are governed by individual “States” within Europe and penalties can be extremely severe. Powder coated fan guards finger guards, fall outside of current REACH/RoHS standards for environmental issues and are considered safe. Electro Deposit fan guards 120mm fan filter also fall into the area which is considered both safe for the environment and production workers. Fan tray assemblies, fan power cords, daisy chain fan cords, do not typically contain substances which are included in either the REACH/RoHS banned materials categories. REACH, which is the European Union set of regulations, with the driving purpose to address production and use of chemical substances in both the finished product, as well as the actual manufacturing environment for purposes of protecting human health and the environment. Gardtec Incorporated has been issued The Commercial And Government (CAGE) Code # 4N9V1. This 5 charater ID number is used extensively within the federal government, assigned by the Department of Defense’s “Defense Logistics Agency”(DLA). The CAGE code is used to support a variety of mechanized systems throughout the government and provides a standardized method of identifying a given legal entity at a specific location. The awarding of the CAGE code will now allow Gardtec Incorporated to support all government requirements for fan accessory products, including wire and plastic fan guards, metal and plastic fan filter assembly, fan power cords, as well as various fan tray assemblies.